To truly care for her creation. So God made an organic farmer. And she was fertile and productive. And in every country of the world. And bury the dead with the same tenderness. Before they take care of their own needs. Their labor and food for their own riches and glory. Out of ignorance and greed. And eats straight from my hands. 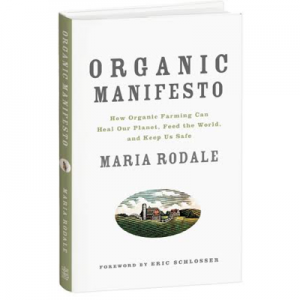 Also a fan of the many Rodale books. Wonderful response, Maria. Could be the voice-over for your organic farmer commercial. Beautiful, powerful, healing words. Thank you. From deep in my heart, I, myself, am Grateful. I will be sharing this with a fledgling group, down here in SW Missouri. When the POET speaks, may we all have hearts and ears to LISTEN and HEAR!! Deeply grateful, Ren Wilson, on behalf of Home Grown Missouri, (only now just pushing up out of the soil). This is absolutely beautiful, Maria!! Touched me to the heart!! Thank you so much for sharing this gift with us!! A farmer is a farmer, they all work hard to feed us. Everyone knows that non organic farmers work hard too. Some of my best friends are non-organic farmers, and if you claim they do that to take it easy, I challenge you to go along and do what they do for one month. I think you would change your tune. Simply and elegantly said! Touche! Dear FarmerGreen and Hans, I’m sorry if I hurt or offended you. I do know how hard it is and appreciate all you do….there is no easy life for any farmer! Organic or not! But this is the poem that came out and the message that needs to be said, I believe. And thanks to everyone else for your kind words! I felt when I wrote this that it was one of the most important things I will ever write. There are some things that are conventionally grown that I still eat. When I cannot find the organic version, I ask the farmer what kind of growing methods he uses and if he uses pesticides/herbicides. He and/or she generally will let you know when you ask. I have a very good relationship with the conventional farmers that I buy from. They are great people, and I know that Maria understands this and have no ill will towards those who toil from sunup ’til sundown to provide for their families, their communities and all of us. You lost my support as well Maria. I won’t be renewing your magazine anymore. You claim you grew up on a farm. Next time your actually in the country (if ever), stop by and tell a farmer that he’s a damn disgrace and see how he likes it. He’ll probably just rank you with the others that turn their noses at the gas station when he walks in with “dirty” clothes on. I think you’ve been in the city too long, you obviously don’t have any farmer blood in you or you wouldn’t put another farmer down. From now on, to me your just another city slicker. I didn’t say non-organic farmers were a disgrace. And I did not put them down. I think they are just lost. Maybe even trapped. My heart goes out to them. To all farmers. And I did grow up on first organic farm in America. 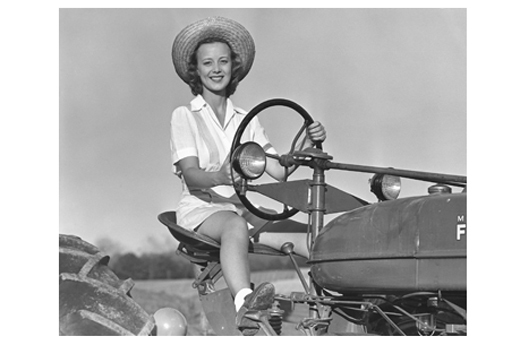 Learned to drive a tractor when I was 14. Worked all day on the farm in the summers starting when I was 13. Still have dirt under my nails most of the time, too (although I only live in the country, not a farm). My freezer is full of my own home-grown foods. Sometimes the truth doesn’t feel too good. Doesn’t mean it shouldn’t be told. Sorry if I offended you Maria, I should have just criticized your writing. Your writing is offensive to me, as it is to a few others who found it. When some of your best friends have lived their whole lives as farmers, and you’ve watched them live and die, you take offense to things that put them down. To me this writing definitely puts them down, and I don’t think that’s the answer to anything. This writing seemed pretty plain and clear to me. First off, you say “call themselves farmers” (meaning unless you are an organic farmer, you apparently aren’t a farmer). I did not read this poem as an indictment of all conventional farmers. leaves open the likelihood that there are those who call themselves farmers who do not do these things. The images that came to my mind were of industrial farms with corporate or absentee landowners. In any event, I’m sure we can celebrate our kinship with all farmers, organic or not, while still challenging the destructive practices of industrial agriculture. I did not read your poem. I was stopped by your reference to God as a woman, as a She. In the Bible, patterns of reference to God are in masculine titles, as He. God chose to reveal Himself in male form; It states He created man in His own Image; does not say women in his image. Jesus calls God, the Father; that’s good for me. You are a gutsey powerhouse delivering what they call “tough love” (in the behavior business) and this is writing with your habitual integrity, sharp focus (you had it in your Mothers milk and your Father’s passion) and haven’t let anyone down that I know of (including industrial farmers). Love the poem, which brings a new economy to your great work. God bless you Debbie Zimmerman and thank you so much Jim Roberts and everyone else who has expressed themselves here. I am so grateful to all of you. God bless ALL farmers, and awaken those who use harmful practices to a better and safer way and give them the courage to change. And God bless the writer who is so moved to write a heart-felt poem that espouses this better/safer way and put it out for all to read. It needs to be said often and in many different ways until it is understood by all. Thank you Maria. There are many who are seeing trees without seeing the forest. It is about the soil, and the soul. If you are killing your soil, you are killing your farm. It is not about your effort, or how early you get up or how long your day is. Kill you soil, you are killing your farm. This writing is an offense to the real living God, who made this world and all in it through and by His Son, Jesus Christ. I grow my garden organically because I enjoy it, but this essay almost makes me want to quit that, it is disgusting. Please keep your goddess worship out of our faces and go back to teaching people about how to build healthy soil. We are “conventional” farmers, and I don’t think we are “mining” the soil. We make every effort to practice conservation tillage, use the least amount of herbicides/pesticides that will do the job and produce a marketable crop. Much of what we grow goes overseas to feed other countries. Ask them if they want us to quit farming as we are. Brava Maria! The truth hurts. They know not what they do! point. Maria is trying to save lives, not condemn them. still alive, or not sick and dying from exposure to that BS. is under water? Poison is poison. Keep yours away from me/us. I can’t remember the last time I actually took the time to read and digest a poem. They generally just aren’t my thing. I want to comment that whether anyone agrees 100% with all of the details, including whether God is male or female or exists at all, this poem is excellent! If a reader wants to waste their energy tearing it apart, they missed the beauty of it. I am not sure exactly where I stand on the politics of the issues, but I appreciate the poem! Thank you! Watching that commercial I thought about those huge farms that Monsanto governs…..or at least owns all the seed. Really scary that they have so much control. “Food Inc.” exposed so many terrible things happening to our food supply. We have had our for over 30 years, have wholesome healthy veggies & fruit, all organically grown. This poem is the way back “home”. It’s time to go home…. and stop the madness taken by a run away train called “Big Business” hand in hand with irresponsible technology and psuedo science. Thank you, Maria, your poem touched my heart and brought tears to my eyes. Monsanto and their ‘kind’ have put many good farmers out of business, destroying their lives and their land. If I couldn’t buy/eat organic food I would be sick most of the time, and only years from now will we finally know the damage done to our children from eating GMO’s all their lives. Please don’t let those who don’t understand the meaning of your poem stop you from writing. You have a good heart and a sensitive soul and we all need to hear your/our truth being told in such a touching, gentle way. Thank you! Because I am totally committed to the God of the Bible, and you dare to call Him a female, I want to be removed from your mailing list! Some commentators are overreacting. Just substitute “He” for “She” and call it a day. It’s not blasphemous if you don’t preach it, but write a poem aout it. Last time I checked, Jesus didn’t preach fanaticism, but rather, tolerance. 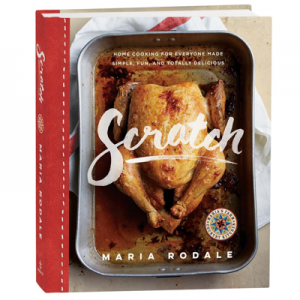 If Maria’s husband had written it using “he” you would be gushing with pride. Enough said! Maria, I love your poem. I am continually amazed at your ability to communicate in different ways. How lucky you are, to have matched your talent and passion. How lucky are we, that you continue to share with us. Thank you. With all due respect God is a man not a woman. If you clearly read your Bible you will see God refered to as HE not she. As many farmers as well as many Americans are good God fearing Christians, please do not insult us by trying to my the real God into some femine view of what you would like God to be. The name of God who you should give Glory is Jehovah. Rodale is a good example as institute for me and Mr. LaSalle ( CEO ) we meet in Turkish Cyprus Conference Organic in 2009. We gave him an AWAKE and nobody at that Conference have one single word to God…only we. This is a lovely poem. I’ve just finished reading it and already I’ve sent it to 3 different friends who I know will really appreciate the wonderful message. more people choose to treat it with respect and do their farming organically. can turn this Earth back into the garden of Eden that it once was. of it in your poem, Maria. Thank you. I must make another comment. Just went back up and looked through a few messages. poem that you were denigrating conventional farmers. Also read what you said about growing up on a farm and even now growing your own food. So now I know how you were able to capture the essence of farming. This is a beautiful version of Genesis !